NATIONAL HARBOR, Md. 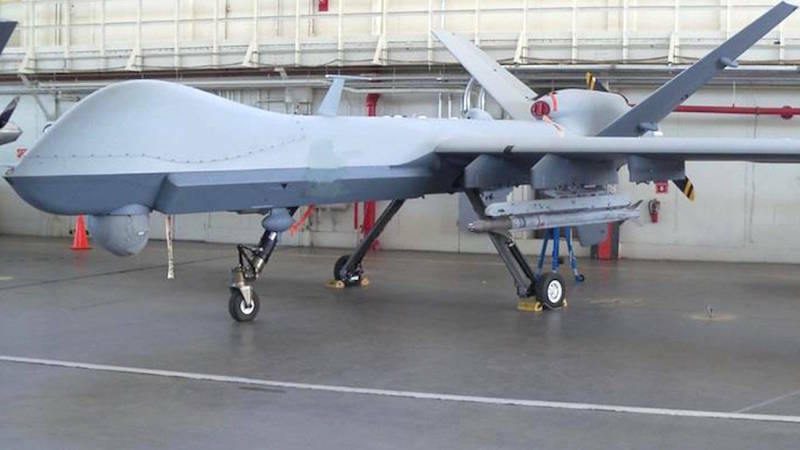 --- An MQ-9 Reaper drone has bagged its first air-to-air kill of another small, aerial vehicle in a controlled simulation, an official revealed to Military.com this week. "Something that's unclassified but not well known, we recently in November … launched an air-to-air missile against a maneuvering target that scored a direct hit," Cheater said. Military.com sat down with Cheater here at the Air Force Association Air, Space and Cyber conference outside Washington, D.C.
"It was an MQ-9 versus a drone with a heat-seeking air-to-air missile, and it was direct hit … during a test," he said of the first-of-its-kind kill. Click here for the full story, on the Military.com website.